Vista is not really liked by many users judging from comments here on this blog and conversations with users about the operating system.While the operating system features a visual refresh that users may like, it is also heavy on the resource side of things and ships with a few annoyances that keep users away. Please raise your hand if you think that UAC is more annoying than helpful. Windows Vista is just not ready for prime time and there is not really a good reason to make the switch. Update: This changed with the release of the second service pack for the operating system. Windows XP users who love the Vista looks can easily change their XP theme to one that looks pretty much like Windows Vista. A software called VistaMizer does that automatically. VistaMizer replaces more than 380 files in Windows XP, mostly icons and graphics, and the result looks astonishingly well. 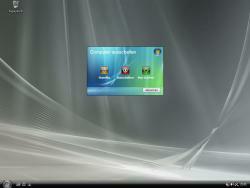 Below are two screenshots of how a Windows XP system looks like after using VistaMizer. Click on the image to get a bigger screenshot. Please keep in mind that your language is not changed during the transformation which means that the above screenshots are from a German XP, an English XP would of course have English menus and such. It is highly recommended to create a backup before you run the application so that you can go back in case something goes wrong or if you do not like the look and feel of the theme. 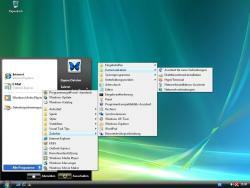 Vistamizer offers two installation options. 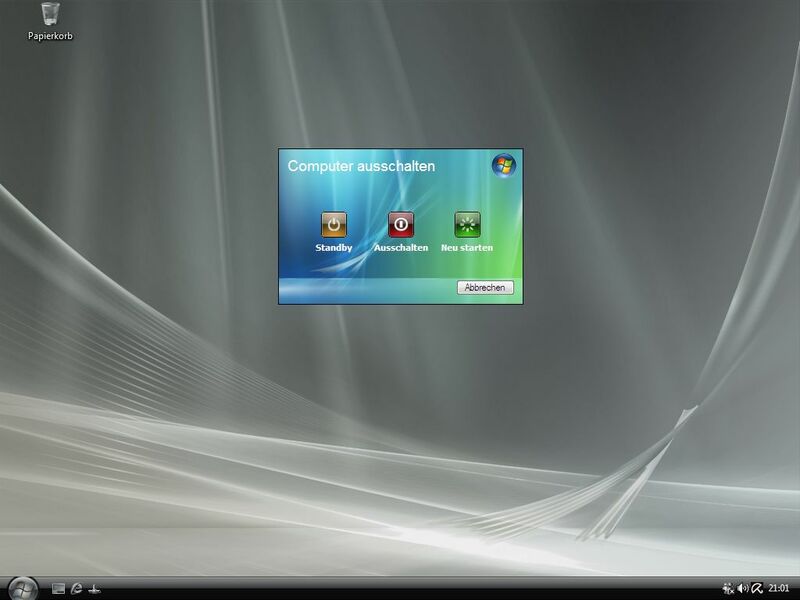 The first installs the app as any other program on your system which means that it will also include an uninstallation option. The second will patch the system right away and while that may be tempting, it means that you cannot uninstall the changes. The only option to go back is to either restore a backup that was created prior to running Vistamizer, or setting up the operating system anew. VistaMizer has a size of more than 22 Megabytes and can only be downloaded from third-party download websites such as Softpedia. 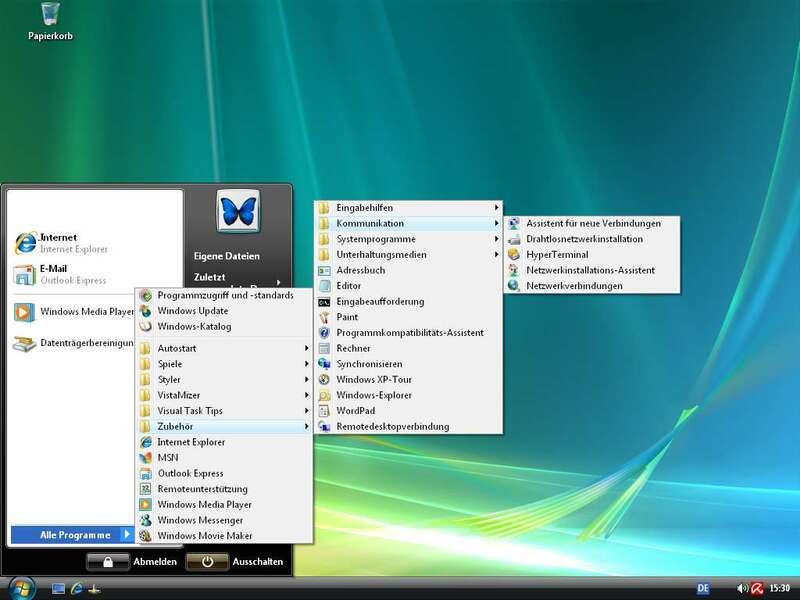 how does this compair to “Vista Transformation Pack 7.0” ??? I hate to sound like a Vista shill, but I should tell you that the vast majority of people who use Vista have no problems with it other than learning how to do things differently. It’s certainly not the case that “not many users like Windows Vista”. I bought a computer with Vista installed and after using it for a few weeks have found that I like it better than XP, much like the people I know who have upgraded. I don’t see myself changing from XP anytime soon. nor me until they at least do something about TV card support, I own 4 different TV cards that all work perfectly in XP but not one of them works in my wifes Vista machine. I decided to give VistaMizer a try. The overall look of the Vista graphics were impressive, but unfortunately it froze my system, forcing me to have to uninstall it. You can find and download many cool stuffs + even some port apps and guides/links there to totally transform and enhance XP like Windows Vista and or Windows 7 for free, in both GUI and feature/function! Just FYI. Thanks.